Glenbrook Canyon offers commanding views and soaring heights for prospective buyers looking for that rare and unusual setting. The topography of this canyon will enable architects to incorporate stunning views into the design of each custom home. Each custom lot is situated in a way that offers breathtaking views of the mountain range surrounding Las Vegas valley. Architects and builders can build custom homes that are designed for hillside acreage such as Glenbrook Canyon. Hidden behind the Highlands neighborhood, Glenbrook Canyon is surrounded by majestic rock formations with only 14 mountainous custom home sites. Glenbrook Canyon presents buyers with their choice of a mountain top or hillside acreage. From this heightened elevation, one can see views of the Las Vegas Valley, its mountain range and the Las Vegas Strip. The custom homesites range from 99 acres to 1.76 acres and are priced from $1.1 million to $1.65 million. 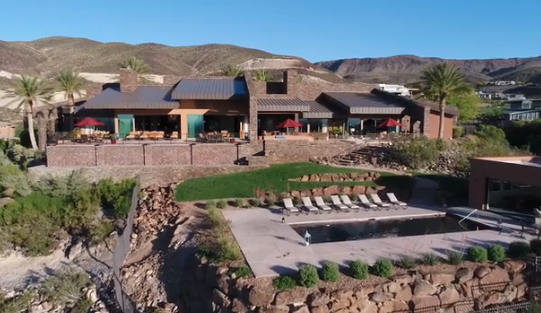 Enclosed behind its own private gates, Glenbrook Canyon’s custom lots are elevated above the manicured golf course with most offering views of the Las Vegas Valley. This luxury home neighborhood has been designed for single story, two-story and multilevel estates. For those interested in available custom lots and custom homesites within the premier country club community in Southern Nevada, contact us directly at 702-614-9100.